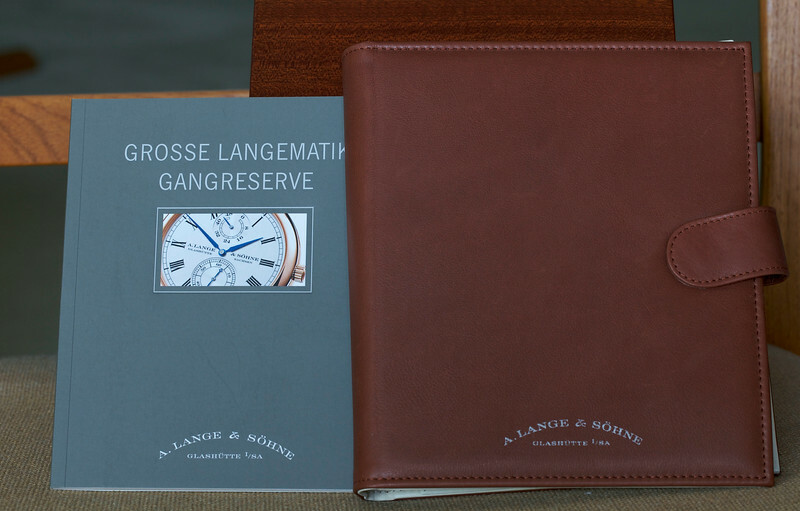 Being a big fan of the Langematik movement, I'd been interested in obtaining a Gangreserve for a long time, especially after I had seen the yellow gold version owned by a fellow NELOC member. This summer I was fortunate to finally obtain a Gangreserve in red gold. 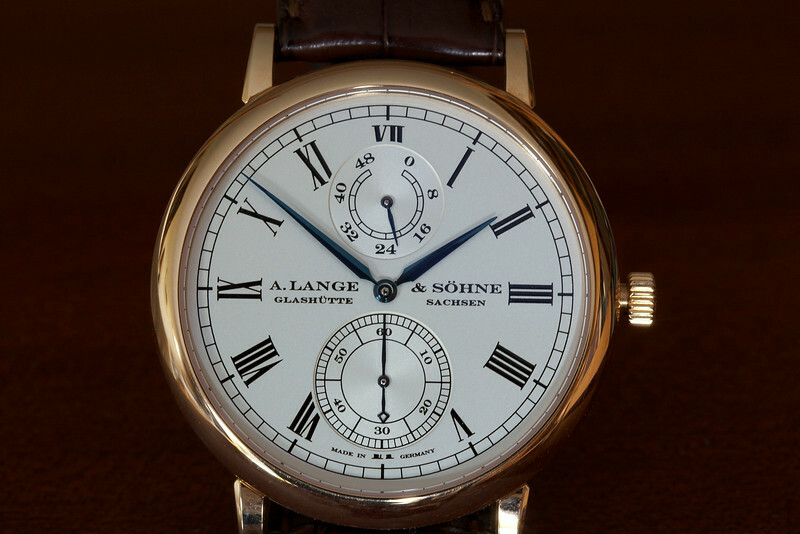 Only 25 of this version were issued, making it one of the rarest Lange limited editions. The Gangreserve was issued in 2005 to commemorate the 100th anniversary of the founding of Chronometerwerke Hamburg. Chronometerwerke Hamburg GmbH was founded in 1905 by seven prominent Hamburg shipbuilding firms to design and manufacture high precision nautical chronometers. The company was purchased in 1938 by Herbert Wempe and the name was changed to Wempe Chronometerwerke. During the second World War, Wempe Chronometerwerke collaborated with A. Lange & Söhne to produce standard chronometers for the German navy. In 2005, eleven watch companies issued limited editions to celebrate the 100th anniversary of the founding of the original company, with all the LEs being sold exclusively through Wempe. 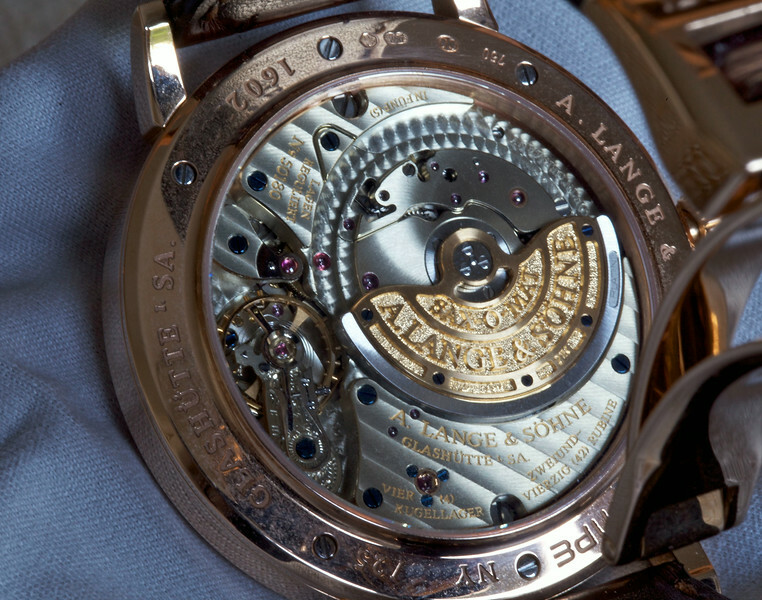 Besides Lange, LEs were also created by AP, Breitling, Chopard, GO, IWC, JLC, Longines, Nomos, Panerai, and VC. 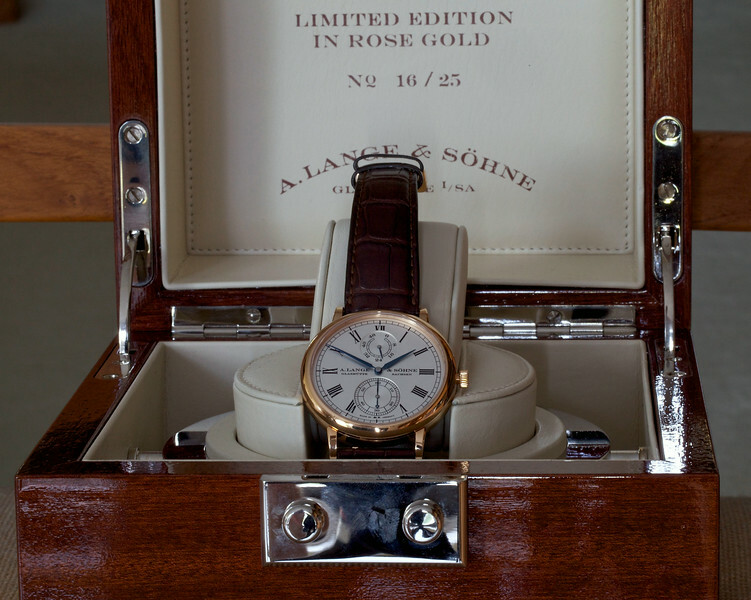 Lange issued 100 Gangreserves in yellow gold (304.048), 100 in platinum (304.049), but only 25 in red gold (304.047), with red gold only sold at the NY Wempe store (which was celebrating its 25th anniversary). The original prices were $26,200 for the gold and $39,700 for the platinum. The design features a layout like a classic marine chronometer, with power reserve indicator at top and a small seconds subdial below. The diameter is 40.6 mm and the watch is 9.6 mm thick. The Gangreserve movement is Lange Cal. L921.6, the superlative Sax-0-Mat movement with zero seconds reset. There are 343 parts, 42 jewels, and a three-quarter gold rotor with platinum centrifugal edge. 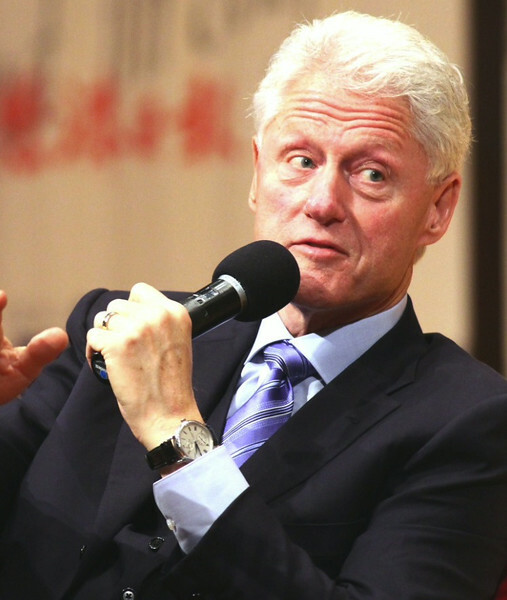 Frequency of the Sax-0-Mat is 21,600 vph and the power reserve is ca. 48 hours. There is one significant difference between the visible part of the movement in this version of the Sax-0-Mat and all of the others. Study the photo below and compare it to pictures of other Sax-0-Mats to see if you can spot the difference. For example, compare it to the photo of the Langematik Perpetual movement posted today. My thanks to a fellow NELOC member for pointing out this interesting difference. The leather booklet cover for the RG Gangreserve is red-brown rather than the usual black. 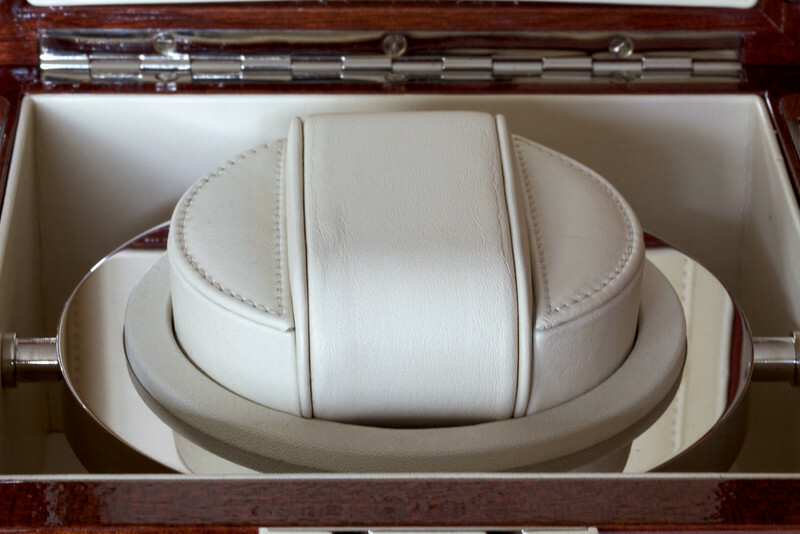 The box housing the Gangreserve is really cool - it is styled like that of a marine chronometer! Here is the beautiful dial. I love railroad tracks! The movement. Can you spot the unique feature alluded to above? 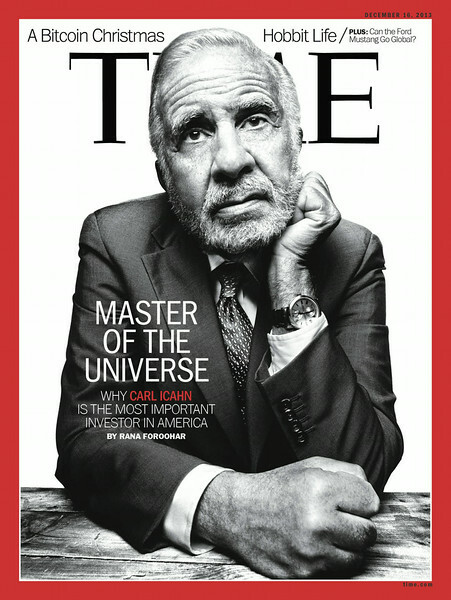 Interesting to note two prominent gentlemen who apparently are also fans of the piece.